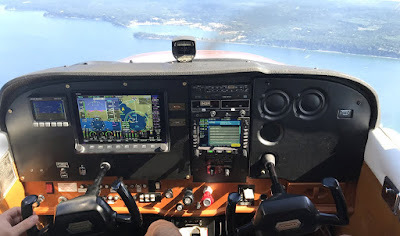 Dynon Preflight Brief: STC ACHIEVED! SkyView HDX is now STC Approved! We're excited to share that we've just received our first Supplemental Type Certificate (STC) for our flagship SkyView HDX system. The STC’s Approved Model List (AML), which initially covers many Cessna 172 models, ushers in a new era of truly affordable, safety-enhancing integrated avionics systems for type certificated aircraft. The initial STC is for the installation of a full suite of Dynon avionics, allowing pilots to remove the vast majority of their legacy instrumentation, including their vacuum pump. The SkyView HDX system provides complete primary flight instrumentation, including synthetic vision and angle of attack, and complete engine monitoring with CHTs, EGTs, fuel flow, fuel computer, and lean assist. Also approved is Dynon’s fully-integrated two axis autopilot, which features IFR approach capability when SkyView is integrated with a compatible navigator. The approved installation also includes a Mode S Transponder with 2020-compliant ADS-B Out, Navigation and Mapping with Flight Planning ADS-B Traffic and Weather display, and Electronic Flight Bag features. Backup primary flight instruments are provided by a Dynon EFIS-D10A. The initial Approved Model List (AML) covers Cessna 172F, 172G, 172H, 172I, 172K, 172L, 172M, 172N, 172P, 172Q, 172R, and 172S models. Approval does not restrict the operational use of the aircraft, and allows for flight in both IFR and VFR. Dynon will be seeking additional approvals for both single and twin-engine aircraft in the coming months. Pricing for the certified/PMA versions of approved Dynon products will be the same as existing experimental/light sport products. The STC for Cessna 172 aircraft is priced at $2,000. The first installations will be available in the coming weeks via US Sport Aircraft + Thrust Flight in Texas, Merrill Field Instruments in Alaska, and a Dynon-affiliated facility in the Pacific Northwest. For more information about Dynon Certified and our SkyView HDX system, visit our website at www.dynon.aero/certified .